Just when San Diego’s summer crowds start to fade, but the sun decides to stay, San Diego’s restaurants agree this is no time to rest. So they kick into high gear, to cook, prepare, boil and sear, fresh local veggies, meats and fish. All because San Diego Restaurant Week is here! 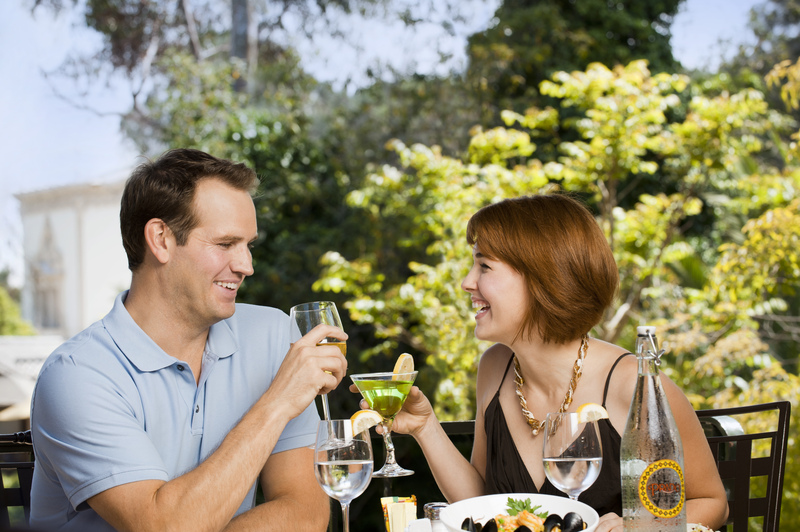 I am a poet and I don’t know it, but the truth is that it’s easy to get inspired with the delightful culinary scene that’s taking over San Diego, and it’s during San Diego Restaurant Week when locals and visitors get to try all the amazing dining options that abound. From September 20-27, more than 180 San Diego restaurants will showcase three-course prix-fixe dinner menus prepared with the best local ingredients for just $20, $30, $40 or $50 per person. 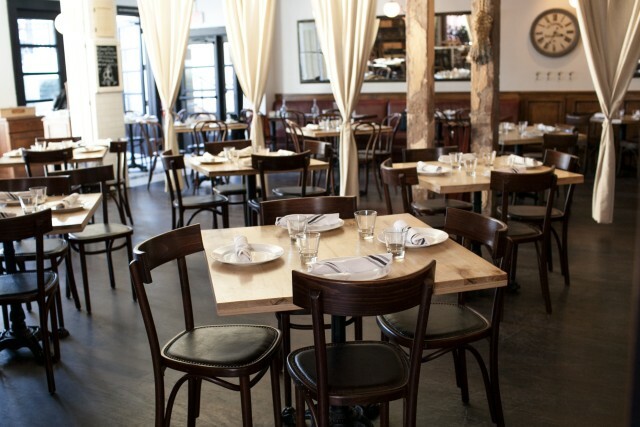 Lunch prix-fixe menus are also available for $10, $15 or $20 per person. 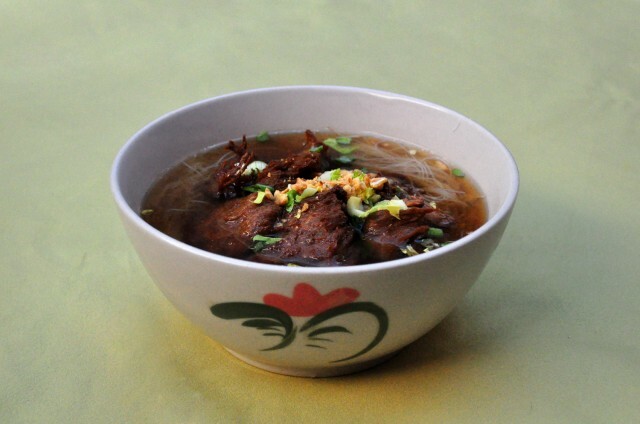 With so many options around and just one week to spare is hard to decide where to indulge on that local fare. 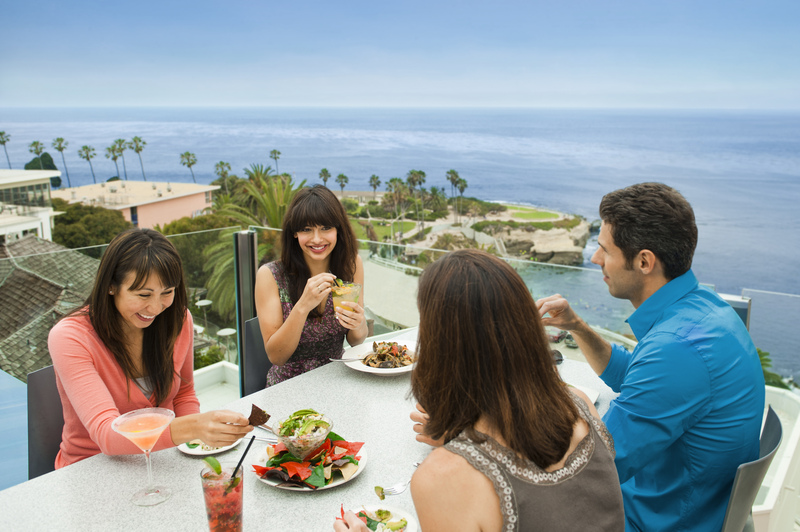 From new to hidden gems, to restaurants that showcase San Diego’s unique Cali-Baja scene, here are some lunch and dinner options to savor the fresh flavors of San Diego. Trey Foshee’s Galaxy Taco opened this July in La Jolla and celebrates the culture and cuisine of Mexico with quality local ingredients. Executive Chef Steven Riemer’s Mission Bay restaurant highlights the purity and flavors of local California produce and their commitment to sustainable ingredients. 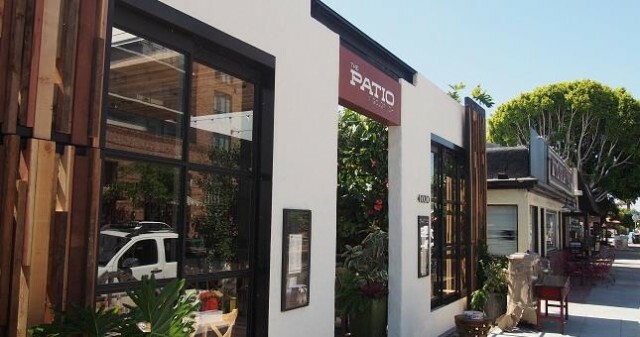 Nestled in the historic neighborhood of Mission Hills, The Patio on Goldfinch features a cheese cave, barrel-aged drinks and a seasonal food menu. The relaxed bistro and beer bar in the artsy neighborhood of North Park specializes in a seasonal menu that can be perfectly paired with its wide craft beer selection. This acclaimed Chef Plascencia’s restaurant in Little Italy was one of the most anticipated restaurants openings of 2015 and showcases a menu that perfectly reflects San Diego’s Cali-Baja cuisine. Located in the heart of La Jolla Village, this restaurant’s Latin-inspired fare offers a modern interpretation of classic dishes. This year San Diego Restaurant Week & Sysco have joined forces with the “All For Kids Campaign” that aims to provide local, unprivileged children with school backpacks through a partnership with Jacobs and Cushman San Diego Food Bank’s Backpack Program. The social media campaign will give $1 for every participating tagged restaurant & hashtagged Instagram post. 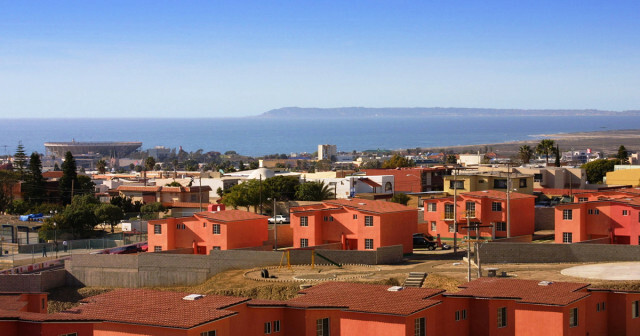 San Diego is truly a two-nation vacation, with Mexico just 17 miles from downtown. A recent study revealed that tacos can cause addiction…well, that”s actually not true, but if it were it could explain the recent boost of taco enthusiasts in San Diego. Don”t get me wrong, we have always been fans of the tortilla-wrapped delicatessen, but lately San Diego has seen a surge in gourmet taco restaurants like North Park”s Tacos Perla or the soon-to-be-opened Galaxy Taco in La Jolla. And now with Cinco de Mayo around la esquina, tacos are also playing the leading role at a couple of new events popping up in San Diego this May. Tacos and Tequila Festival arrives to San Diego to celebrate the best margaritas and tacos in the city. Ten mixologists will be serving their signature margaritas while ten restaurants showcase their taco skills. Attendees will get to vote for the best of the best and the winning restaurant will take home the coveted “Golden Taco Award.” There will also be a beer garden serving local craft beers and live music to entertain the crowd. This is a 21 event. 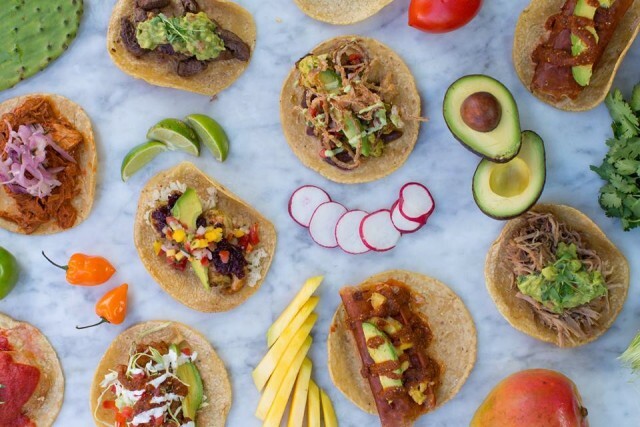 Puesto, the popular all-natural Mexican eatery known for its tacos, will be taking over The Headquarters right on Cinco de Mayo. The free event will feature drinks, specialty made donuts by Donut Bar and Puesto”s famous tacos (of course), all available for purchase. Tacogoers will also get to enjoy the beats of modern Latin music courtesy of Los Master Plus, Buyepong, Orlando Music and the Grammy Award Winner; La Santa Cecilia. We want YOU to help in the search for the best taco in San Diego. 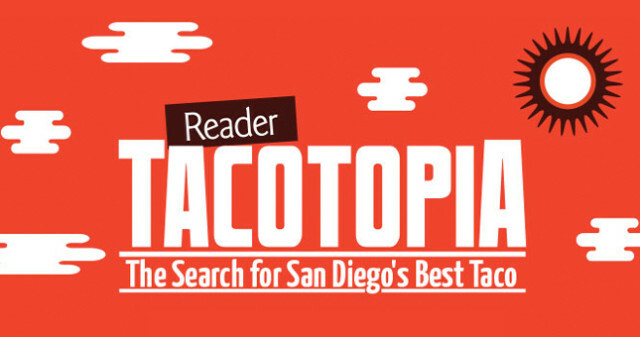 Just when you thought Cinco de Mayo was over, the 1st Annual Reader Tacotopia will reunite 30 of San Diego”s yummiest restaurants on a quest to find the best taco in town. 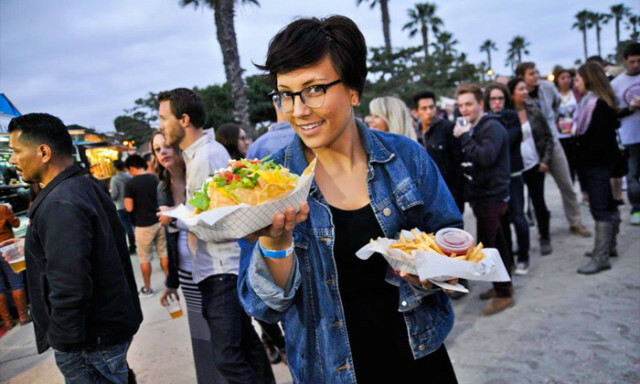 Attendants will get to pick the winner of the “San Diego’s Best Taco” award while live music from Tijuana local bands will set the scene. A cash bar with wine, cerveza and cocktails will be available to wash down all those tacos. This is a 21 event. Let”s get our tacos straight…I mean facts straight, Cinco de Mayo is not Mexican Independence Day – that”s actually on September 16 – as a matter of fact, Cinco de Mayo is not observed in Mexico as a national holiday and is referred as “Battle of Puebla Day” to commemorate the 1862″s Mexican army”s victory over French forces in the city of Puebla. However, Cinco de Mayo is a great festivity to have in the United States because it has become a mean to celebrate Mexican heritage…and tacos. Located amidst the tropical setting of the Catamaran Resort Hotel and Spa on Mission Bay, Oceana Coastal Kitchen opened its doors to the public on February, 2015. 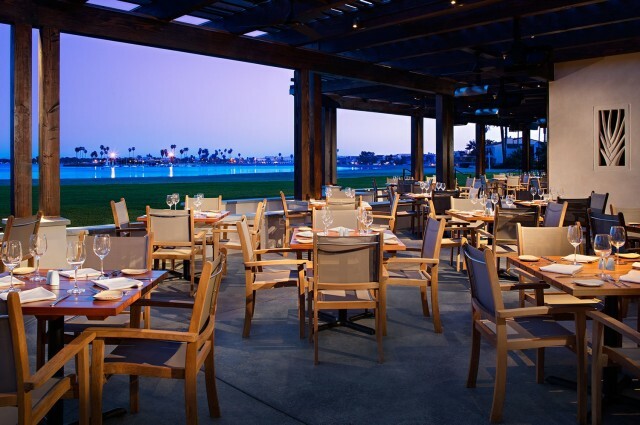 Formerly the Atoll, Oceana features a modern California flare under the culinary direction of Executive Chef Steven Riemer (The Lodge at Torrey Pines, The Ritz-Carlton Laguna Niguel). The 8,200-square-foot venue showcases an ocean-inspired design that includes an 800-gallon aquarium and sweeping panoramic waterfront view of Mission Bay. I highly recommend sitting at the patio, the view is lovely and if you get cold easily like me, don’t worry, they have heaters. 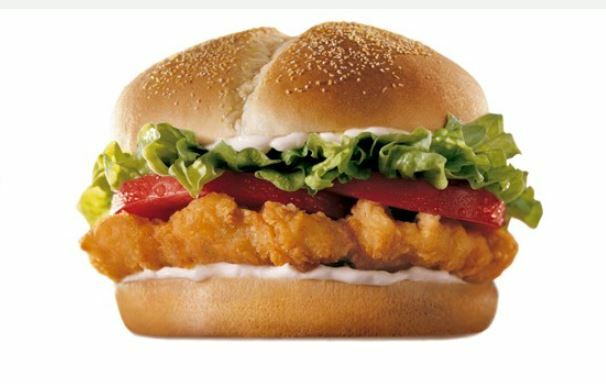 Now, let’s get down to the good stuff: the food and drinks. 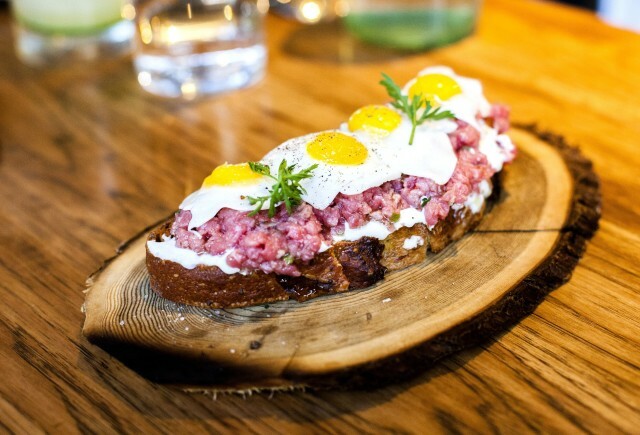 The restaurant offers breakfast, brunch and dinner, with menus that reflect a relaxed California flair assembled with local sustainable ingredients. I visited during dinner with my boyfriend and the weather was just perfect to sit outside (the best place to sit). First thing on the agenda were cocktails. I am a bourbon kind of gal, so when I spotted the revolver on the menu: Bulleit Rye, Kahlua and orange bitters; I had to order it. What a great choice! The subtle coffee aftertaste of the Kahlua dresses the bourbon perfectly. My boyfriend had the aristocrat Manhattan prepared with Bulleit Rye whiskey, sweet vermouth and maraschino liqueur, a great choice for whiskey lovers. 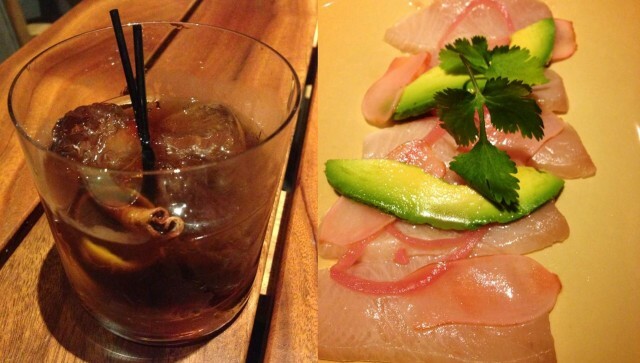 For starters, the waiter highly recommended the yellowtail crudo, prepared with aguachile, avocado and pickled radish. 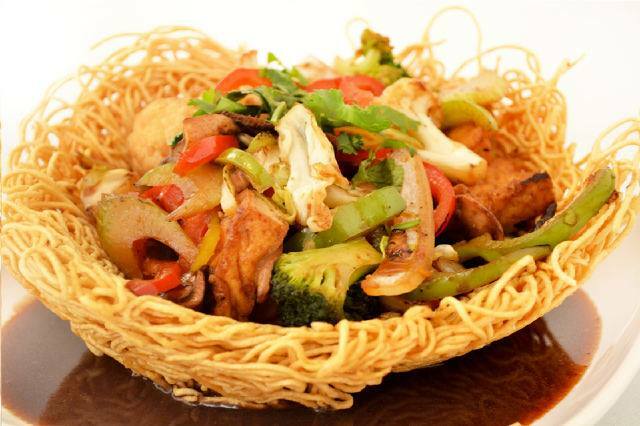 A simple, fresh and tasty dish. To the left: The revolver, who would have thought Kahlua and bourbon are best friends? To the right: The yellow tail crudo is a perfect way to start the meal. To accompany the freshness of the yellowtail we also ordered the oysters on the half shell – a selection of three different fresh oysters that varies daily accompanied with a flavorful chipotle cocktail sauce. For the last starter, I couldn’t not order their Oceana house roll with a perfect combination of eel, tempura shrimp, crab, nori and unagi sauce. To the left: The oysters were light and fresh. 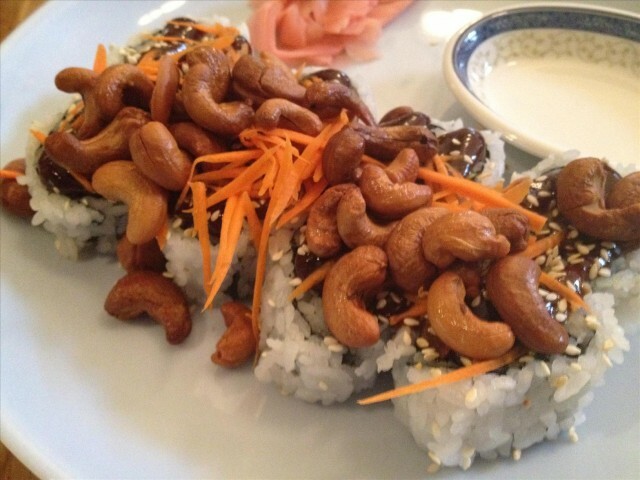 To the right: The eel on the Oceana house roll was delish. After three starters I wanted something on the lighter side so I ordered the cold-smoked niman ranch pork chops that came on top of goat cheese grits, spiced apple and almond slaw with spinach. After the first bite I had to stop and take a moment to give thanks for the existence of goat cheese, what a perfect mix of flavors and textures. The boyfriend ordered the seared arctic char with buckwheat soba, shiitake mushrooms, ginger dashi, scallions and braised daikon; a perfectly balanced dish to accompany the ocean scene. To the left: The pork chops can be described in two words:goat cheese! To the right: The seared arctic char was soft and flavorful. After such a feast I didn’t think I had space for dessert, but I just had to try the warm chocolate-cream filled doughnuts with vanilla dipping sauce. The waiter warned us it was delicious and he was right. My boyfriend ordered the orange blossom cheesecake with balsamic strawberries which I highly recommend. The combination of the orange with balsamic sauce was flawless. To the left: The doughnuts were filled with the right amount of chocolate cream (warning, objects are bigger than they appear). To the right: The orange blossom cheesecake was my favorite. Between the food, great service, and scenery, we really enjoyed our evening. I am planning on going back for another revolver (the cocktail), to try their flatbread and the apple empanadas with buttermilk ice cream, yum! Oceana is definitely a great addition to San Diego’s dining scene, one which keeps getting better and better with restaurants like this. With a mild year-round climate, a proximity to the Pacific Ocean and the Sea of Cortez, a rich abundant soil and an unquestionable influence from its vicinity to Mexico, there is no wonder why San Diego has become a nucleus of hot spots to dine. 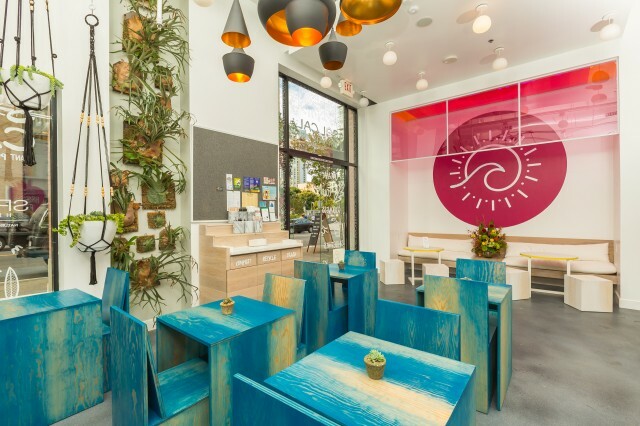 Location, location, location: San Diego’s blooming dinning scene demonstrates the advantages the city has for its proximity to the Pacific Ocean, abundant rich soil and its vicinity to Mexico. San Diego stands in the middle of two very powerful influences: the California fare, distinguished for its devotion of using fresh local ingredients and pursuit of constantly renovating its cooking techniques, and Mexico’s Baja Med cuisine, a food revolution that began in Tijuana, Mexico and is gaining worldwide recognition for combining traditional Mexican ingredients with those of Mediterranean. Thanks to the daring chefs who have created a dining experience that speaks to locals, San Diego’s culinary landscape blends these two influences into a delicious Cali-Baja scene. These influences can now be found on the menus of the many restaurants that dwell in San Diego; like Juniper & Ivy in Little Italy and its Baja yellowtail tostada with shark sauce, or their famous carne cruda asada with quail egg, cotija cheese and jalapeno. Market Café in Coronado is another good example, featuring on their menu a Baja ceviche with cilantro, avocados and ginger beer and their Baja pulled pork with queso blanco (white cheese), avocado and lime cream. Juniper & Ivy’s carne cruda asada is the perfect example of how Baja inspired ingredients: carne (steak), cilantro and cotija cheese, can be combined to make a ‘must have’ dish like this one. Besides just being inspired on Baja ingredients some restaurants build their entire personality off this cuisine, like San Diego’s own Rubio’s who became famous nationally for bringing Baja fish tacos to this side of the border or East Village’s The Blind Burro who specialized in Baja coastal cuisine and hosts Baja Tuesday featuring tacos and margaritas specials. You can have a taste of Baja with The Blind Burro’s Baja ceviche: Mexican white shrimp, bay scallops, tomato, onion, avocado, cilantro and lime. Bracero Cocina de Raiz by acclaimed Mexican Chef Plascencia, scheduled to open May 2015 in Little Italy. The 4,800 square-foot space will offer a casual and fine dining experience presenting modern Mexican food with both small and large plates and a bar featuring Mexican spirits and Baja wine. 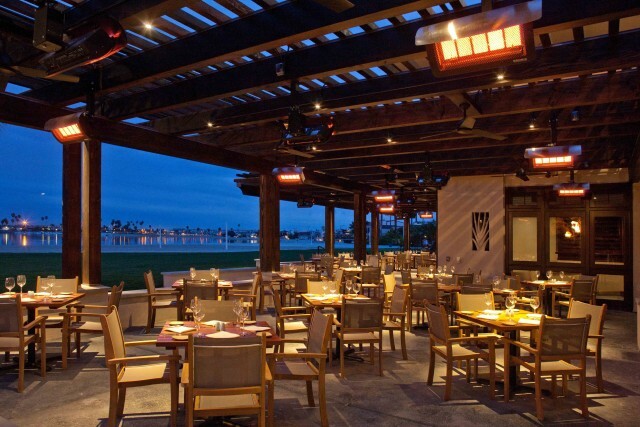 Coasterra by Cohn Restaurant Group, scheduled to open June 2015 in Harbor Island. The Coastal Mexican restaurant concept will include a wedding and event venue situated on the waters of San Diego offering panoramic views of the ocean. 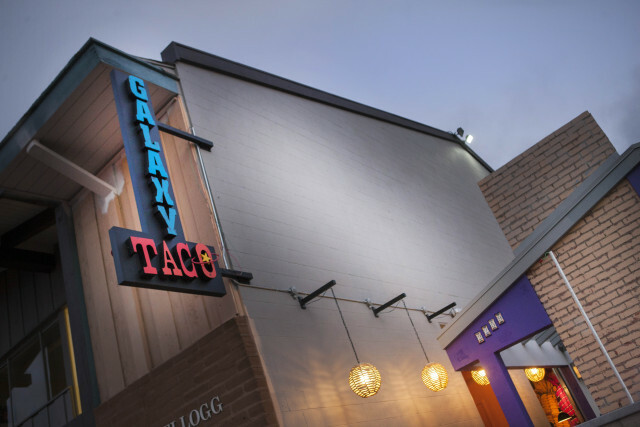 Galaxy Taco by the team from George’s at the Cove, scheduled to open June 2015 in La Jolla. The indoor and outdoor eatery will feature Baja-inspired dishes like cold seafood dishes, salads and eight varieties of tacos. The bar will offer tequila and mescal. Imagine this: You have only a couple of hours in San Diego, you want to experience its exquisite dining scene, but also want to buy something unique to take with you. Well, suffer no more! 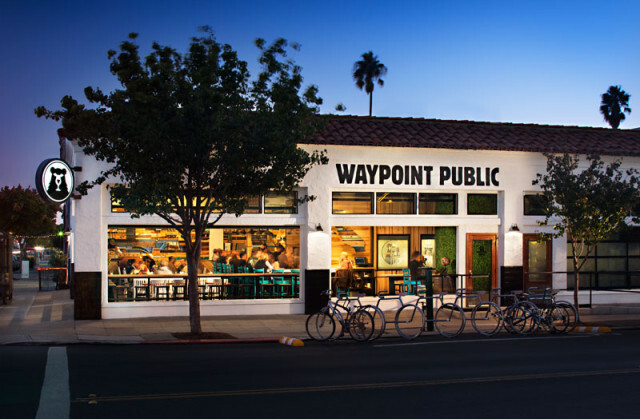 There are several places in San Diego that offer more than food; they offer the opportunity to take an essence of their brand home. From apparel, ingredients on the menu, to the chair you are sitting on, there are venues in San Diego that have found a way to go from restaurant to retail. 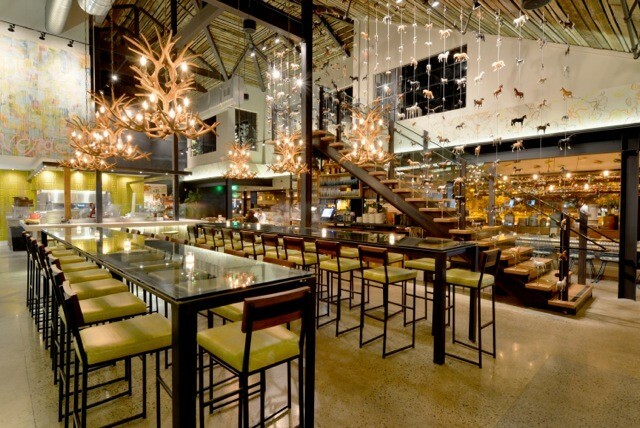 If you like the community tables at Cucina Enoteca Del Mar or their reindeer chandeliers, visit their website and buy your own. Has this ever happened to you? 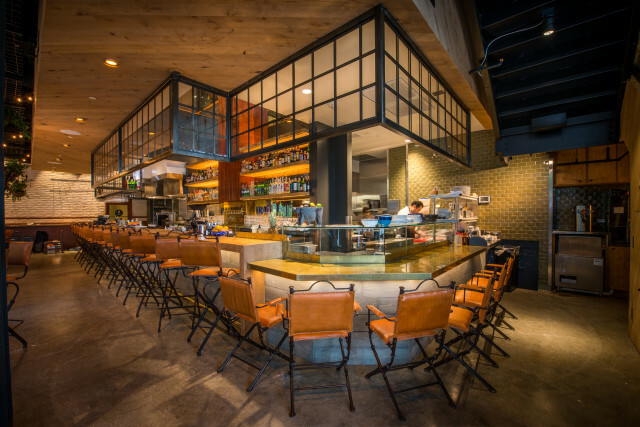 You eat at a restaurant, fall in love with the décor and wish you could take it all home, well, Cucina Enoteca in Del Mar makes this possible. The modern Italian restaurant offers diners everything within the venue for sale; from the silverware and dinnerware, to the furniture and lighting! 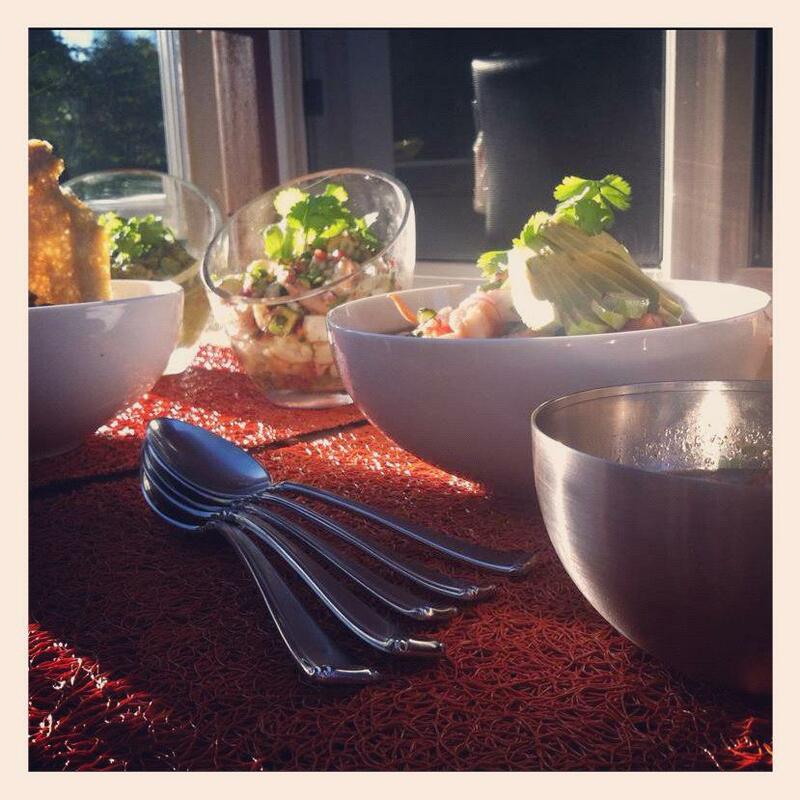 The restaurant prides itself on selling one-of-a-kind finds from local artisans and craftsmen. They also feature a wine shop with over 250 wines from the Americas and Europe. Visit their Del Mar location and then go to their website, your dining room could look the same in not time…sorry, chef is not included. At Extraordinary Desserts you can find baking essentials, jams and jellies, kitchen apparel and other extraordinary goodies. Known for their amazingly crafted cakes and pastries, Extraordinary Desserts is more than the place to satisfy your sweet tooth, or impress your boss with a fancy birthday cake. 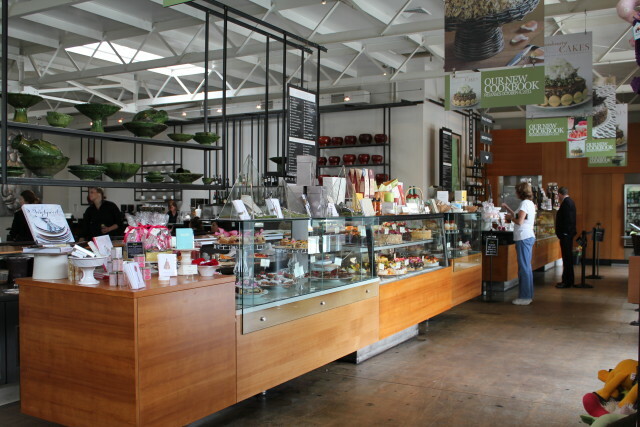 Their two San Diego locations sell an array of baking essentials, jams and jellies, kitchen apparel, confections and even the teas and coffees found on their menu. You can also get your hands on the “Extraordinary Cakes: Recipes for Bold and Sophisticated Desserts” cook book by Extraordinary Dessert’s very own Karen Krasne. Don’t just drink your beer, wear it too. AT Stone Brewing Co. you can buy t-shirts, hoodies and hats at any of their retail stores. We can’t talk about San Diego without mentioning beer. It isn’t news that the beer scene in San Diego has exploded in the past couple of years, but did you know that at some breweries and tap rooms, like the ones by Stone Brewery Co., you can leave with more than a buzz? Located inside their various tap rooms and two restaurants, Stone Brewing manages six retails stores in San Diego. 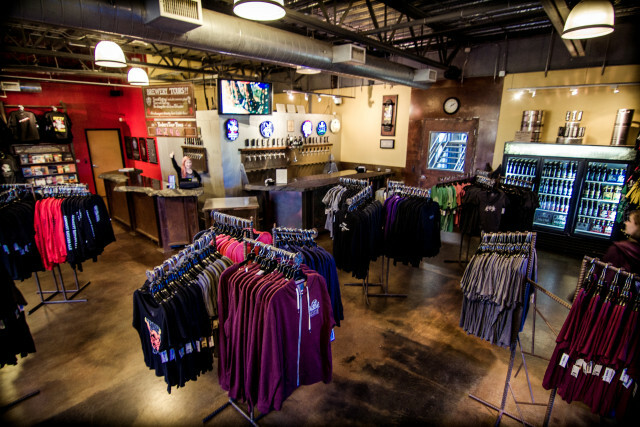 If you are a fan, you can take home an array of Stone merchandise like; t-shirts, hats, glassware, cookware and Stone beer flavored sauces and spices. You can also share the hoppiness with loved ones; growler fills, cases and kegs are also available for purchase at certain locations. 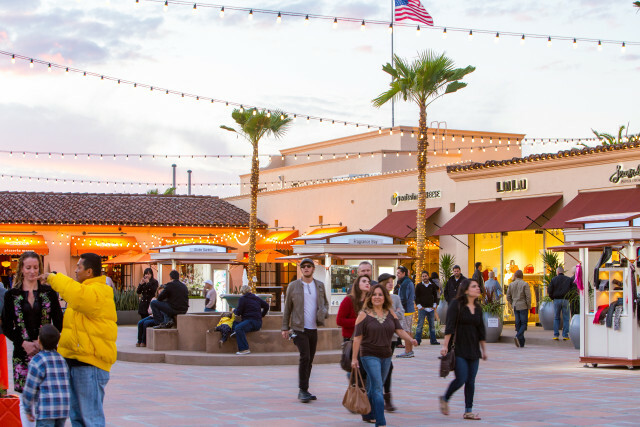 The best restaurants and retail stores can be found in one place, at The Headquarter at Seaport Village District. The Headquarters is the latest addition to San Diego’s Seaport Village District. 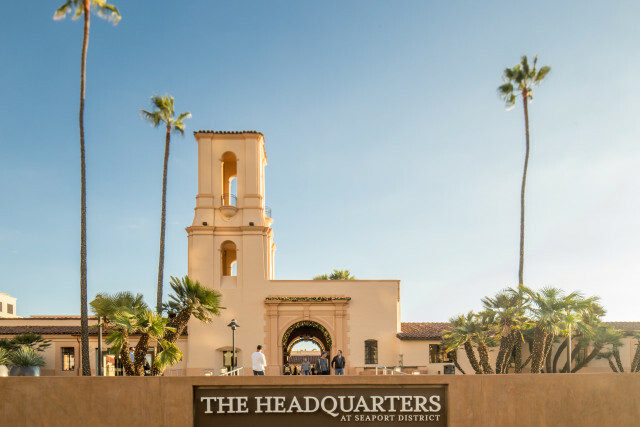 Formerly the San Diego Police Department, the revived location is now home to a collection of specialty shops, restaurants and entertainment venues. 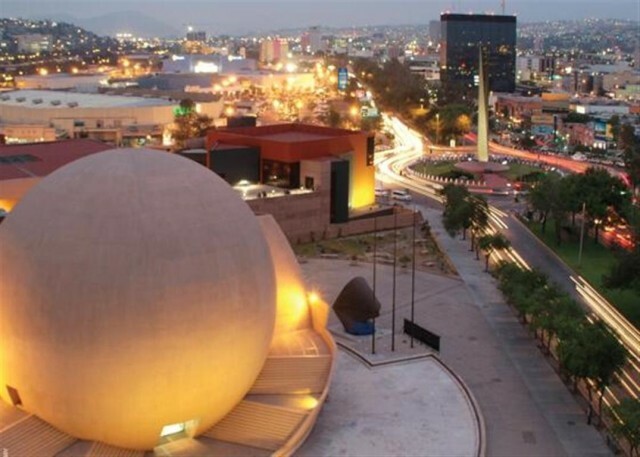 After enjoying a delightful lunch at Puesto or a lovely dinner at Seasons 52, walk around and experience the diverse shops that range from fine art and local crafts to unique finds and fashionable apparel. Try to make it to your table without first buying some good Italian sausages to cook at home. Come for the pizza, but don’t forget to buy some Italian sausages. 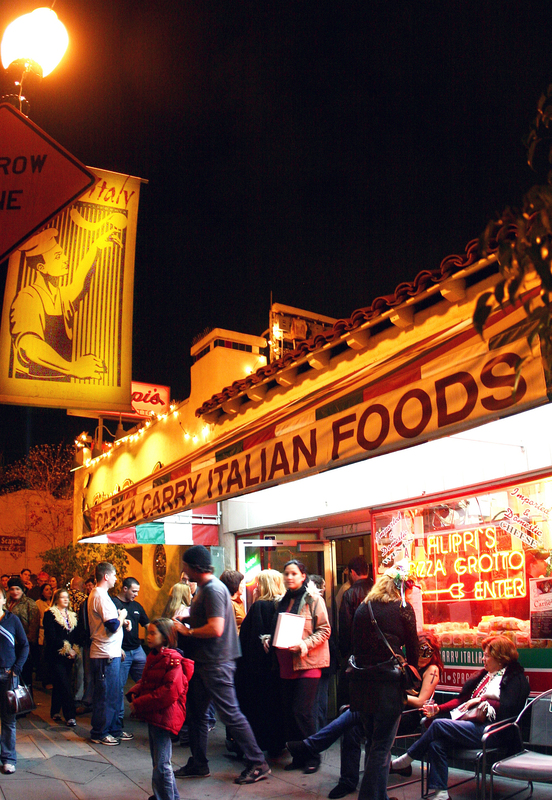 Filippi’s Pizza Grotto in Little Italy started off as a deli and grocery store called Filippi’s Cash and Carry, the family owned restaurant now owns 14 locations in San Diego and California. Luckily the original deli and grocery story still stands, as a matter of fact; you must pass by the deli before entering the restaurant. As you wait your turn for a table (there is almost always a wait) it is impossible to not look around the store and be tempted to take some delicious Italian sausages, pasta or a can of olives. When the night falls, San Diego’s fun side comes to life! When you think of San Diego the first thing that probably comes to mind is our great weather and the beach, and yes, we are blessed with those two things. But San Diego is the kind of city that also knows how party, because once the sun sets on the beautiful Pacific Ocean, San Diego’s playful side comes to life! 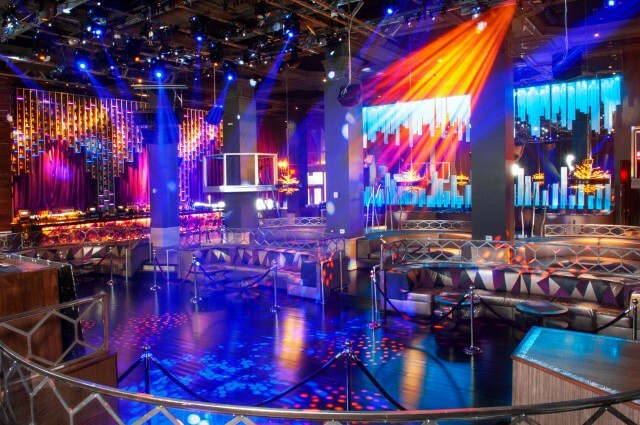 In the past couple of months San Diego’s night scene has expanded with the addition of new alluring nightspots and it’s expected to grow even more with the opening of much anticipated new nightclubs that will spice up San Diego’s after dark entertainment. 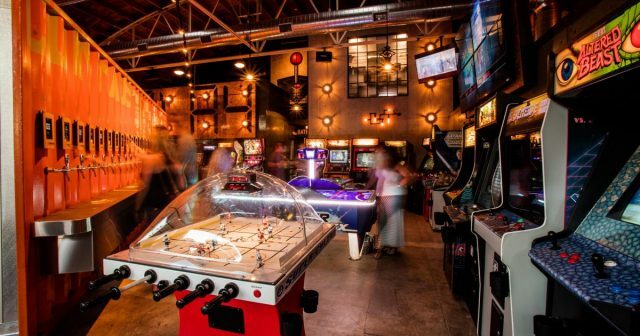 AD Club opened its doors in August 2014 and since then has been offering a full nightclub experience with craft cocktails, synchronized areal theatrics, the latest in music, eleven bottle service booths and a small bites menu. 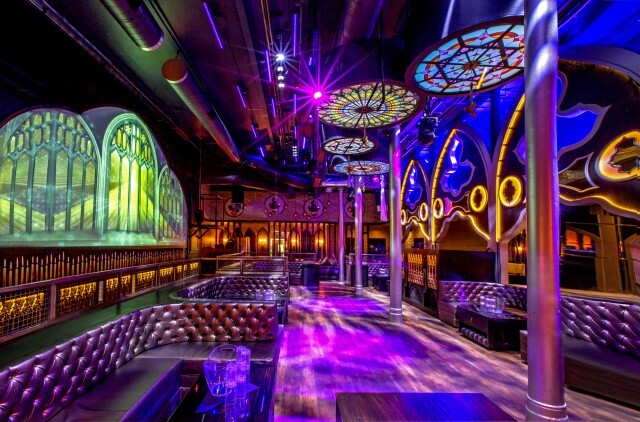 The 4,000 square-foot space is decorated with traditional cathedral and religious elements that give the venue a unique bold and daring design. For those who worship food, exclusive dining “pop-ups” events are hosted with popular chefs who create special prix-fix menus for the occasion. AD Club is a creation of Coronado, CA entrepreneur Bayless Cobb and E.A. Anthony. Formerly On Broadway, Parq is San Diego’s newest nightclub where patrons can enjoy of areal performers, VIP tables, a 10 ft. tall robot named Roca Tron and the latest laser technology. The interior décor is designed to submerge you in a mysterious forest with over-the-top features. Tuesday through Saturday from 5:00 to 10:00 PM, Parq doubles as a restaurant, offering a sophisticated menu created by Executive Chef Errol D. LeBlanc II. Hakkasan Group, known for its popular nightclub and dining destinations, has selected San Diego as the second location of their new nightlife concept, Omnia. Opening spring 2015, the new nightclub plans to make a grand entrance in San Diego shortly following the debut of the brand’s flagship location at Caesars Palace in Las Vegas (formerly PURE). 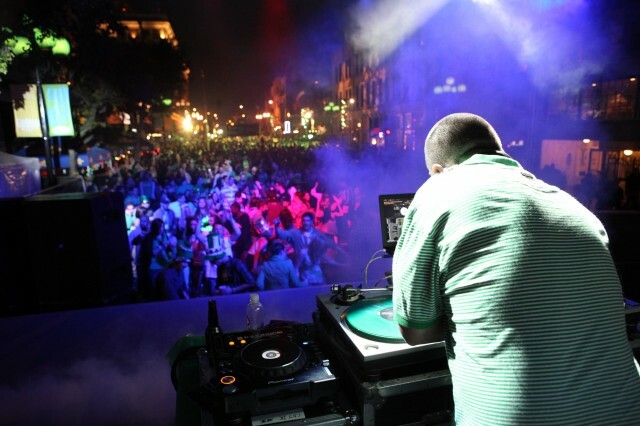 The renowned hospitality company promises to deliver state-of-the-art technology, DJ’s, live performances and an unforgettable experience for locals and visitors. One of the newest projects of Tosh Berman of EDL Management Group will arrive to San Diego next year. An exact date has not yet been disclosed, all we have is a name, CAKE. There isn’t much information in regards to the décor or what we can expect, but if we take a look at the recently inaugurated CAKE in Scottsdale, we can envision a boutique nightlife venue with designs inspired on 17th century European landscapes. The dead are remembered with altars decorated with candles, incense, flowers (marigolds), food, drinks and personal belongings. Every year on November 1st and 2nd, Mexico remembers the dead by celebrating their lives. The Dia de los Muertos (Day of the Dead) is a Mexican holiday that dates back hundreds of years and honors those friends and family members who have passed away. It is believed that the spirits of loved ones who have died return to earth to reunite with friends and family, and to welcome their spirits and aid them in their journey back to earth, family members create altars with their favorite foods, drinks, personal belongings, flowers, candles and incense. Also, vigils are held, and families go to cemeteries to fix up their graves. Day of the Dead has become one of the biggest holidays in Mexico, and celebrations are becoming more common in areas of the United States with a large Hispanic population. Celebrate life and remember the departed at one of the many lively festivals and events being held throughout San Diego. Held at one of the oldest cemeteries in California, the fifth annual community celebration of Día de los Muertos at La Vista Memorial Park will feature catrina and altar building contests, dance rituals, stilt walkers, a tribute to Frida Kahlo and a varied live entertainment line up including a performance from highly acclaimed New York band, Pistolera. This family event will also offer an array of booths, old-school carnival games and Mexican lottery. The Old Mission San Luis Rey will celebrate the Day of the Dead with a lively family event featuring carnival rides, altar displays, arts & crafts, a classic car show, chalk cemetery, live entertainment and delicious traditional food. Let your creativity come to life at the Día de los Muertos Catrina Court Contest open for women all ages. The Encinitas Library will host its first Día de Los Muertos celebration. The admission-free event will feature hands-on workshops, art exhibits and demos, food trucks, prize drawings and performances by Ballet Folklorico El Tapatio and Rafael Renteria and Danza Azteca. A community ofrenda (remembrance shrine) featuring Surfing Madonna will be on display at the lobby on November 1st and 2nd, and attendees are encouraged to contribute a photo or non-valuable remembrance in honor of a loved one who has passed away. The 19th Annual Día de los Muertos Festival will feature traditional Mexican fare and live entertainment by Mariachi Los Caballeros de San Diego. Guests will have the opportunity to decorate their own sugar skull and create altars in honor of their loved ones. Also, attendants can explore the rich history of Mexico at The California Center for the Arts, Escondido museum exhibition, Colores de la Muerte. Admission to the exhibition will be free only on November 1. Old Town San Diego will celebrate the history, culture, and heritage of the region by honoring Día de los Muertos. Join this annual community wide event by touring the museums and shops within Old Town, viewing up to 50 festive altars and enjoying mariachi music, dances and other live performances. A candlelight procession to El Campo Santo Cemetery will take place on the night of Sunday, Nov. 2. The public is encouraged to bring their mementos to add to a public altar in the historic cemetery. The festival will feature traditional native dances and a blessing by the Kumeyaay Nation. Celebrate history, culture and the multitudes of the human spiritual experience at the First Anual Day of the Dead Festival, organized by The Jacobs Center for Neighborhood Innovation and Izcalli. The event will feature a comedy performance, traditional native dances, Mariachi bands and an appearance by Grammy Award-winning bilingual Latin band Quetzal. Besides the opportunity to taste traditional Mexican food and view art exhibitions, activities will include calavera face painting, hands-on workshops, a Catrina competition and Calaveritas (poems of the dead).